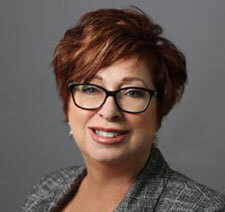 Orange County, Calif. — The Orange County Chapter of the Society of Marketing Professional Services (SMPS) elected Kathy Caswell, CPSM, as its president. The local chapter, now in its tenth year, is part of a non-profit organization that provides members with resources and opportunities to get more involved in the architecture, engineering, and construction (AEC) community. Caswell, who serves as the marketing manager for civil engineering firm Lockwood, Andrews & Newnam, Inc. (LAN), will oversee the chapter’s affairs and officers. She will be responsible for providing value to the chapter’s members through programs and project tours, educational seminars, workshops, and events. Since becoming involved with SMPS in 1995, Caswell has served various chapters in California. Previously, she served the Orange County Chapter as its president-elect and education director. “The SMPS Orange County Chapter has grown to 100-plus members, thanks to the hard work and dedication of my predecessors, and I look forward to continuing this growth as we celebrate our 10th anniversary,” said Caswell. Caswell has more than 20 years of marketing experience in the AEC industry. Her recent career accomplishments include helping her previous firm win one of its biggest projects – managing project controls for the expansion of the Denver International Airport. Prior to that, she served as a business development manager for a geotechnical engineering firm, where she secured a $15-million Caltrans statewide contract. She also worked as an independent marketing consultant serving clients in the AEC industry.